It's time to meet the Enervants. Chandra opens her eyes and she finds herself staring into the eyes of a black snake. As she comes to her senses, she realizes it's not just a snake, but a large snake person complete with arms and legs and is clothed in a black robe and hood. Then she realizes it must be one of the Envervants she's been hearing about. Chandra herself chained up in a spread-eagle position, and in the rest of the room are six other Enervants moving in a very methodical pattern. When she asks what they're doing, the Enervant in front of her tells her that they're gathering strength, and she wishes they could do that somewhere else. Memories of what happened come back to her, and she begins wondering who that Gideon person is, and how he's involved in all this. He was certainly powerful, and there is no doubt in her mind that he used some kind of white mana fueled spell to help bind her and knock her unconscious. As for what he wanted... was she her bounty? Did he give her up because it wans't worth the effort to kill a couple guards? Or was he just charged with killing her and her death at the Enervants would accomplish the same thing so it didn't matter if she was taken. But all this thinking is tiring her out. Just then, the narrow metal door on the other side of the room swings open and a new telepath comes walking in. Chandra comments to her that she'd like it if the Enervants could leave the room because watching them is making her tired, and the telepath corrects her and says that she's mistaken. It's the actions of the Enervants that are making her tired. They're gathering her strength. While she may be able to resist mental intrusion for the moment, she won't be able to resist as strongly the next day, and even less the day after that. And once her defenses break, they'll find out what she did with the scroll. The telepath tells her that four soldiers survived her attack in the Sanctum and saw her leave with it. Wait... scroll? Surely they recovered the scroll when they took her. 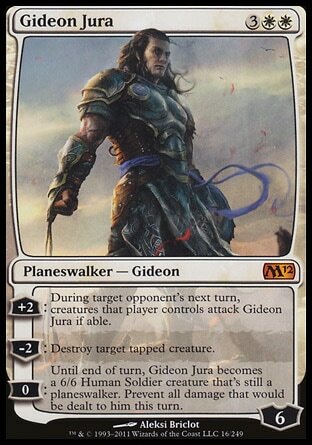 Unless Gideon has it. This is all his fault. She's going to kill him for all this. But she's not going to tell them that. 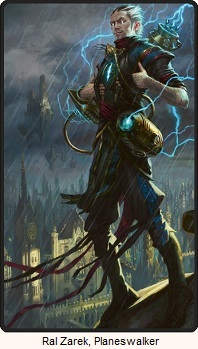 Chandra asks about the mind mage from before, and then asks what will happen to her if she cooperates. "You destroyed the Sanctum of Stars, a holy place filled with Kephalai's most precious artifacts. 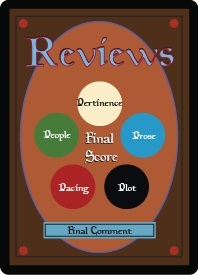 You killed soldiers, guards, and mages dedicated to its protection. You damaged more than property. You damaged the will of the people of Kephalai. You created a city-wide panic. The death toll has not yet been measured." The mage's gaze was hostile. "But if you cooperate now and tell us where the scroll is, your sentence will be lenient." And by lenient, that means a quick and merciful death rather than being left to the Enervants. The telepath leaves and says that if she changes her mind, she should just call out for Dirk, one of the guards standing right outside the door. 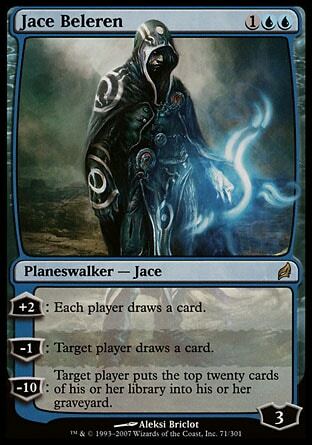 But Chandra's not going to call out to him. She knows enough about what's going on. It's time to escape. Every second she waits, the more energy is drained from her, so she has to escape now. Chandra closes her eyes and concentrates on her breathing and centering her rage. With each breath she feels her mana bonds become stronger, a little more within reach. Chandra opens her eyes and watches the Enervant reach into a box. Chandra asks what he's going to do with that, and a glitter in his eyes is the only response. The Enervator lifts his hand to reveal he's holding on to a snake by it's tail. He runs his other hand up it's body and the snake stiffens. With obvious pleasure he tells her it's time to begin. 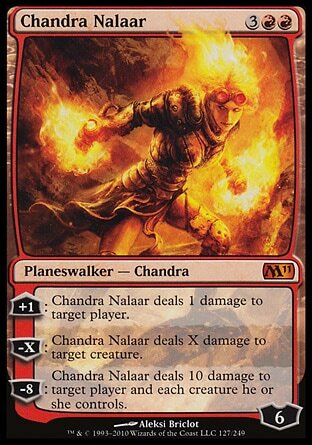 He brings the snake close to her hand, and Chandra balls it up into a fist. That doesn't matter because the Enervator simply places the snake's head between her knuckles and pushes. The snake slides underneath Chandra's skin and writhes as it makes her way up her arm, causing an intense pain greater than any she's ever known. "DIRK!" she screamed as loudly as she could. "Get in here now!" Without any further promting, the two guards entered the room. "Get this thing out of my arm," she cried. "I'll tell you anything you want to know." Dirk comes in and orders the torture to stop. When the Enervant slices open Chandra's arm to pull out the snake, she pretends to have feinted. 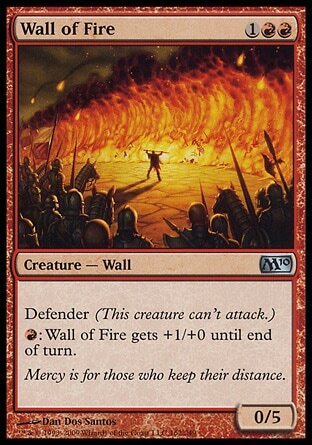 They release Chandra's cut arm from the shackles, and when they come back with some water, Chandra uses her magic to set it to a boil and flings it in the guard's face. 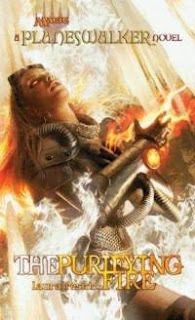 Chandra frees her other arm, and summons a sheet of flame that surrounds all the Enervants blocking her way to the exit. It slowly closes on them and burns them to death. Chandra runs down the corridor and runs through the two guards in her way. She knows her best chance is to planeswalk away, so she tries to find a place, any place, where she can go through the proper motions, but there are too many guards. Chandra is forced to turn around and go back the way she just came from. There's no shame in her giving up right away. A living snake writhing around under your skin is pretty crazy. And she was actually pretty quick on her feet, and realized that it was better to make her escape attempt right then and there rather than wait it out. They gave her too much information. No one should have talked to her until she was weaker. I like the use, or rather non-use, of planeswalking here in this chapter. Clearly that's the best method of escape from anything under normal circumstances. It's an obvious thought that should be popping up into her head, but she just needs enough time and space to do it but the guards are just closing in on her too fast.